We use a sliding scale....Pay what you can afford within that scale....No questions asked. 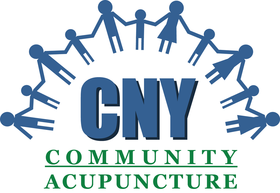 To book your appointments online, visit CNYCommunityACU.com! Community acupuncture is a model of acupuncture care that is gaining momentum here in the US (although, it is the standard model of care in China). The idea is to make acupuncture accessible to more people by making it more affordable. Instead of having your treatment in a private room, you will be in a larger room filled with recliners and others who are getting acupuncture treatments. Lighting is kept dim and music and white noise keep sounds to an absolute minimum. Most who try community acupuncture find that they can relax just as well or even better as when in a private room. When you are in a room with others and everyone is focused on relaxing and healing, the effect of the treatments can be even more powerful.